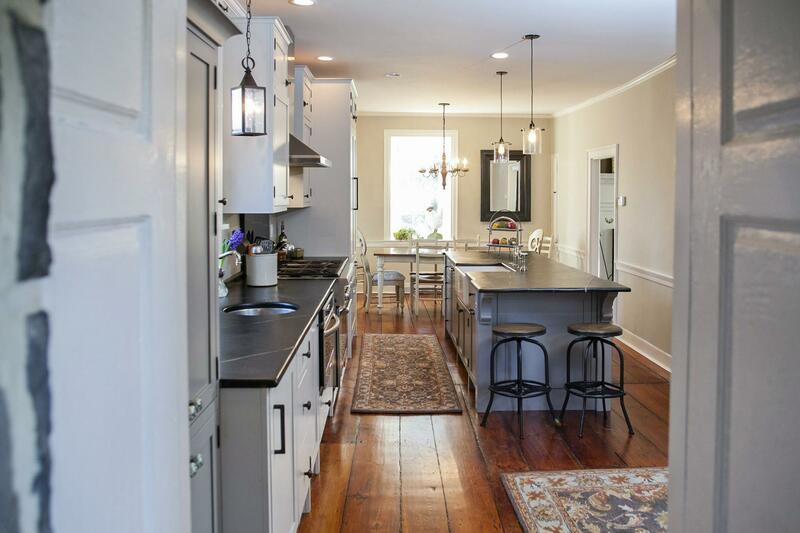 Kitchen: Once owned by a descendant of William Penn, Carter Republic House is a charming 1790’s farm home that was begging for a thoughtful kitchen remodel to restore authenticity while modernizing the gathering room. 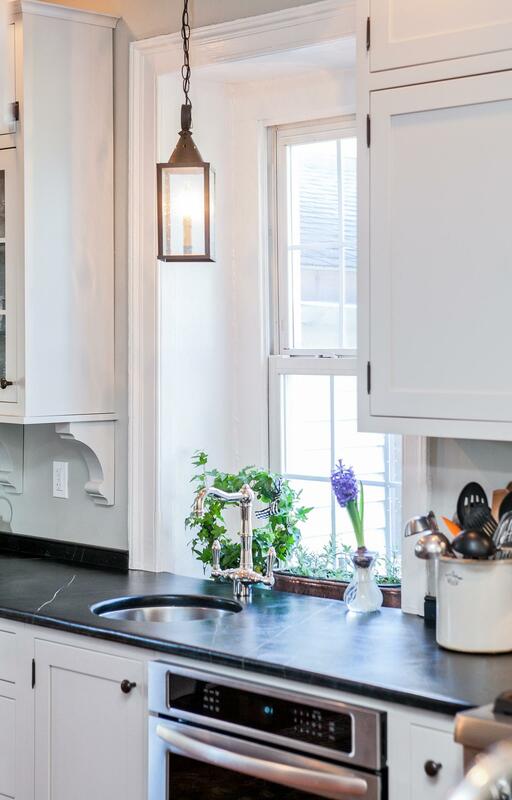 Modern functionality and beauty set the stage for quick meals on weeknights, elegant Saturday dinner parties, as well as canning the garden’s bounty on Sunday afternoons. 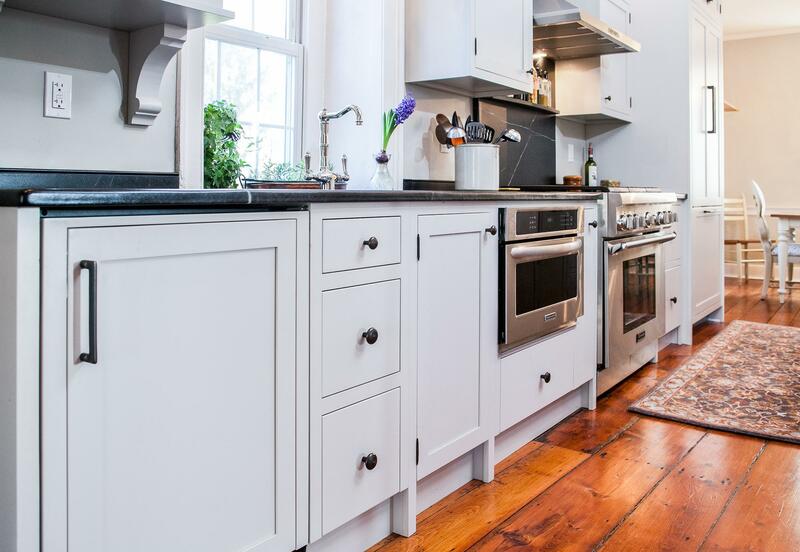 Custom cabinetry was designed to work with the existing, original hardwood floors, while also complimenting the professional appliances. 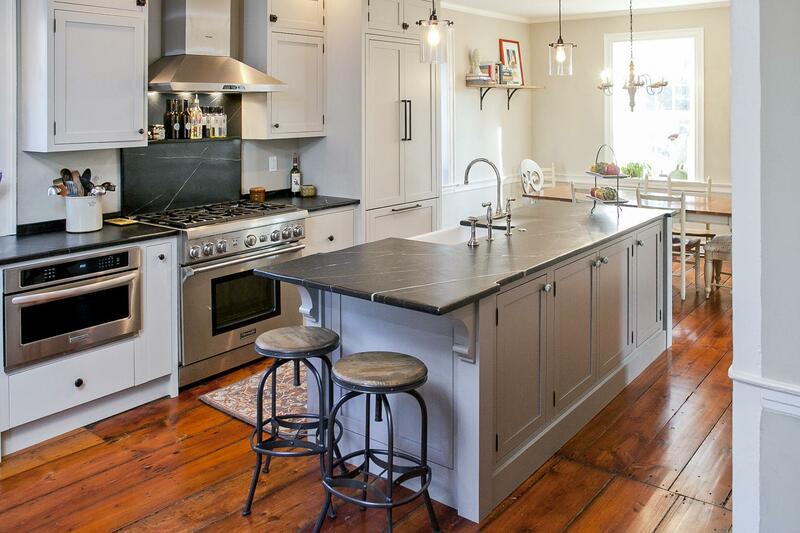 Distressed soapstone counters and backsplashes along with custom metal and barn wood shelving add practicality and warmth. 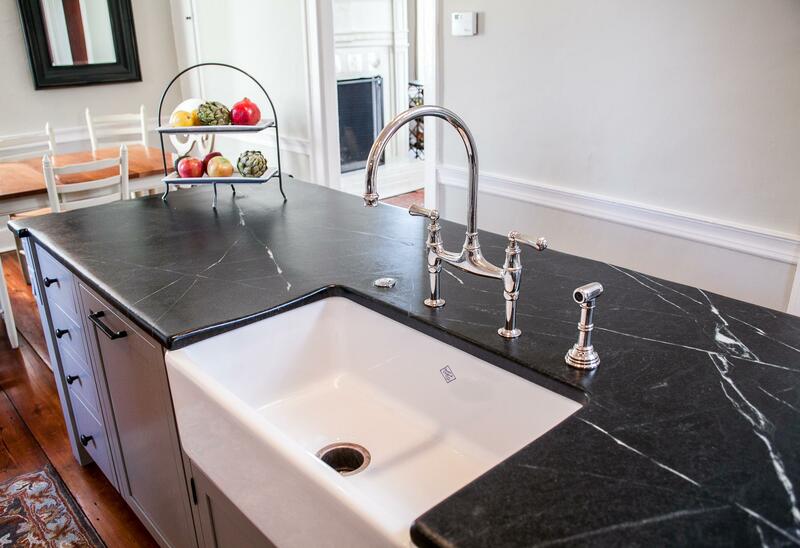 The sink, faucet, and hardware were carefully selected to unite all of the room’s elements. 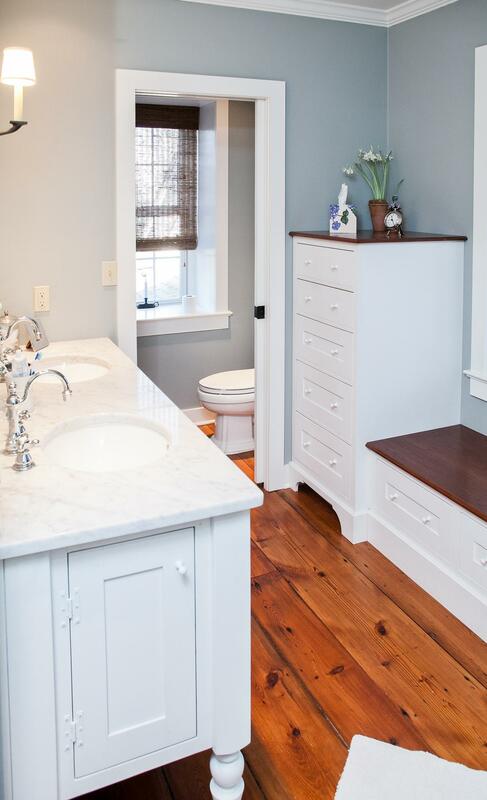 Master Bath: Old farmhouses offer charm and character but usually need thoughtful changes to serve the needs of today’s families. This family of four desperately desired a master bath and walk-in closet in keeping with the exceptional features of the home. 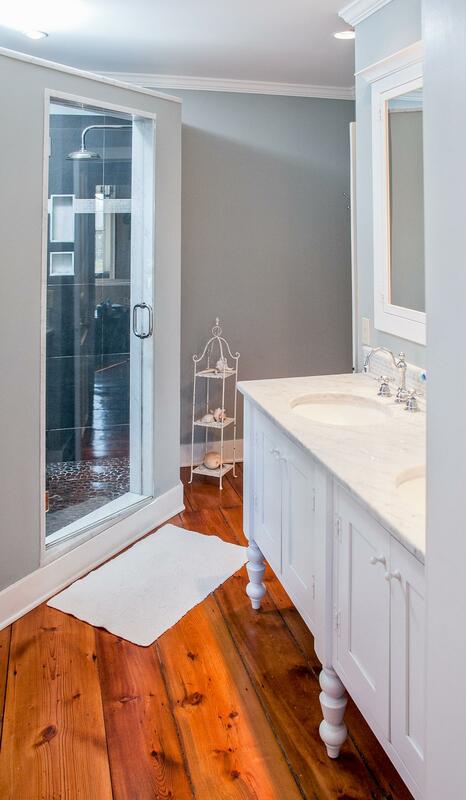 At the top of the list were a large shower, double vanity, storage space, and a private toilet. 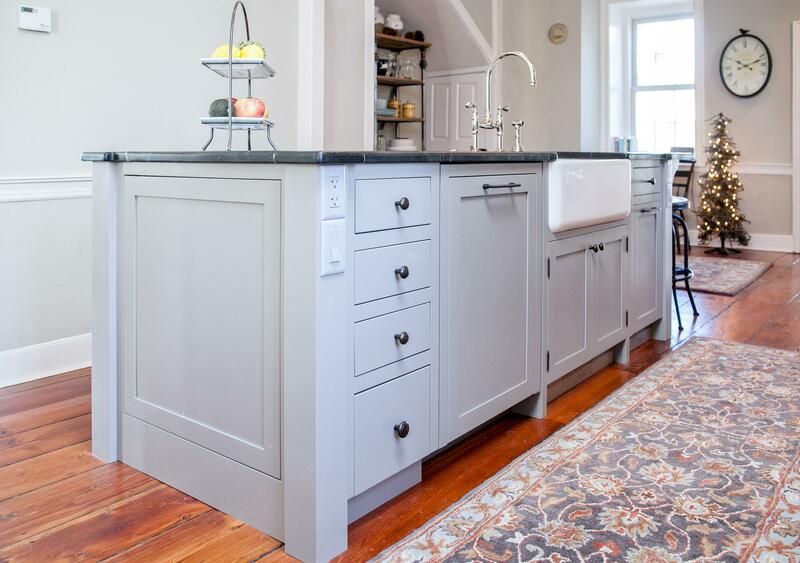 Certain nonloadbearing walls needed to be removed, interior doors and woodwork restored, and antique flooring had to be patched so we knew it was important to choose contractors and installers experienced in historic remodeling. 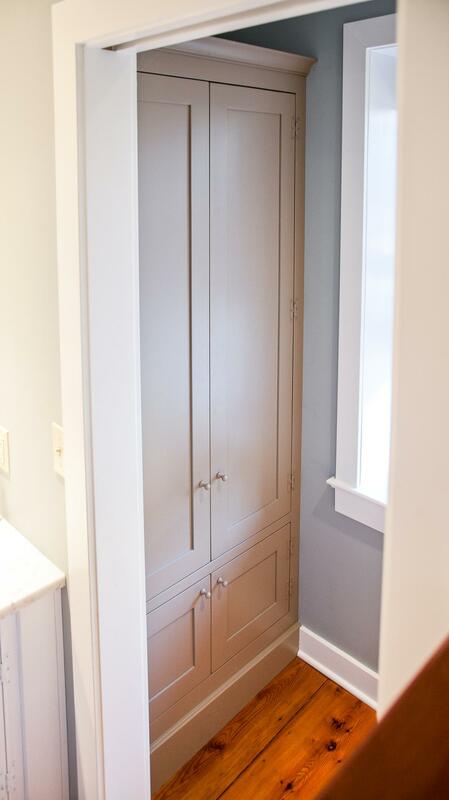 A local reproduction furniture maker with national accolades was the perfect choice for the cabinetry, which was hand planed, pegged, and hand finished. 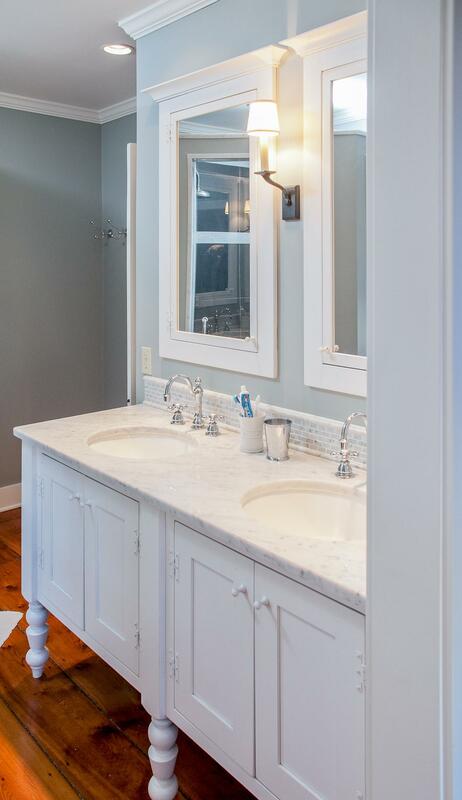 The legs on the double vanity were hand turned by Amish woodworkers to add to the farmhouse flair. 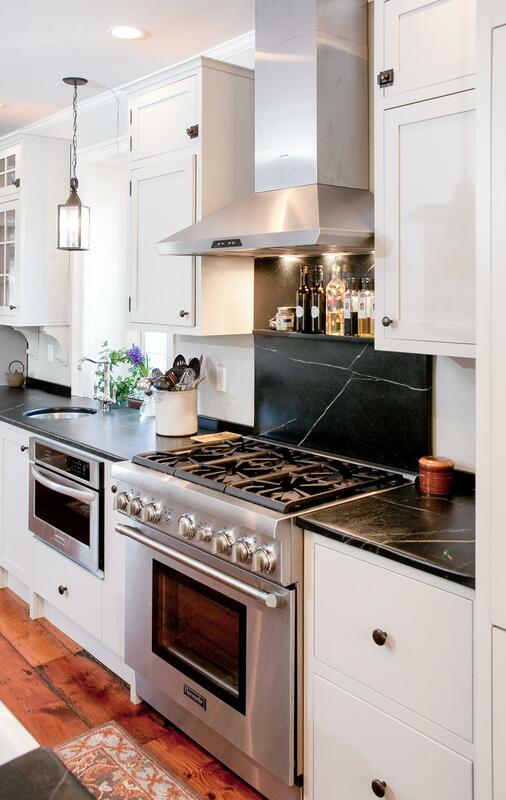 Marble tops and tile as well as antique-style fixtures were chosen to complement the historic look. 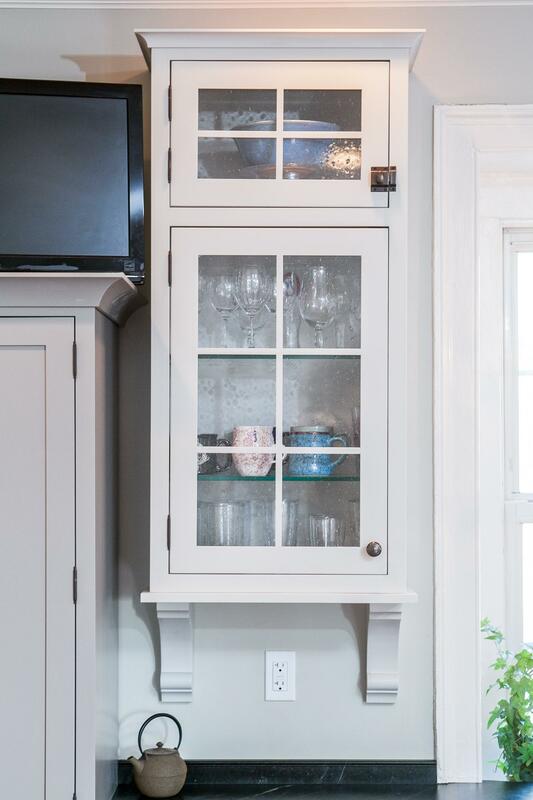 "Jarrett Design exceeds the cookie cutter designs often seen and advertised in magazines. They provided a patient, creative, and knowledgeable environment that allowed me to work through the renovation/redesign process at my own pace. I would highly recommend them!"